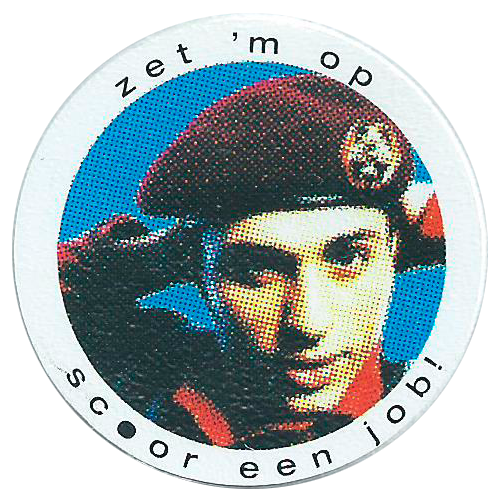 Info:This is the complete set of Zet 'm op, Scoor een job pogs produced by the Dutch military as part of a recruitment campaign. 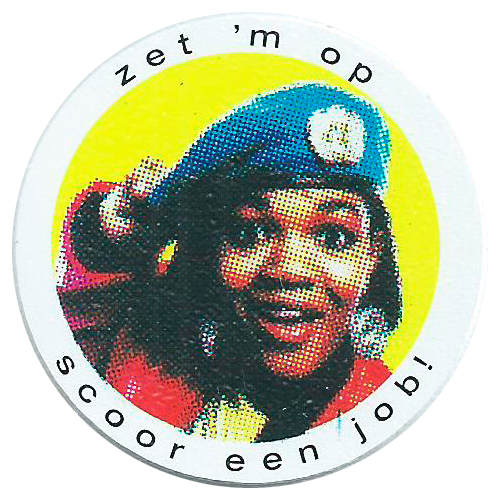 The phrase Zet 'm op has a double meaning - 'put it on' (a hat), and 'do your best'. 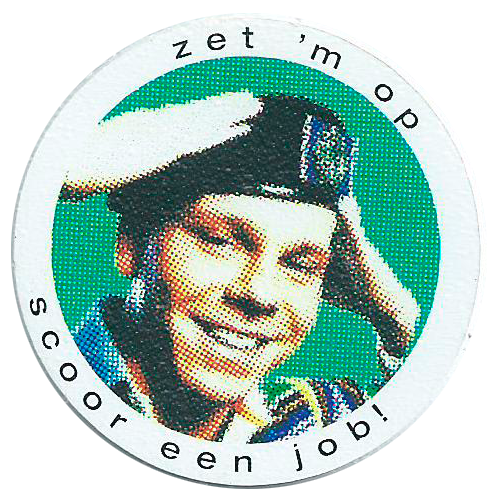 'Scoor een job' translates to 'score a job'. 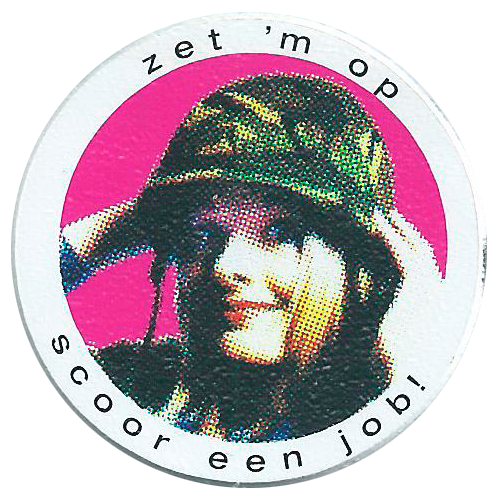 Hence the images show young people putting on a military hat to join the Dutch military. 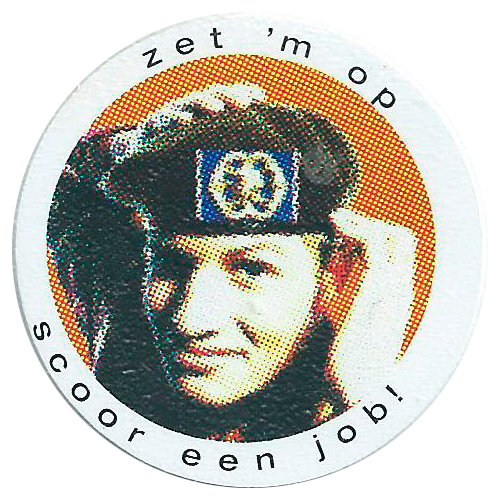 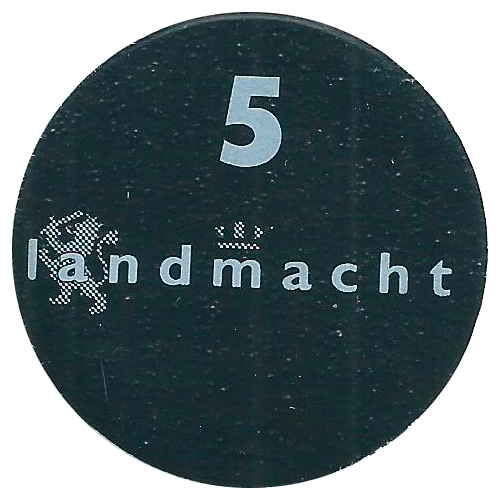 Thanks to Klaas for scans of the set below.